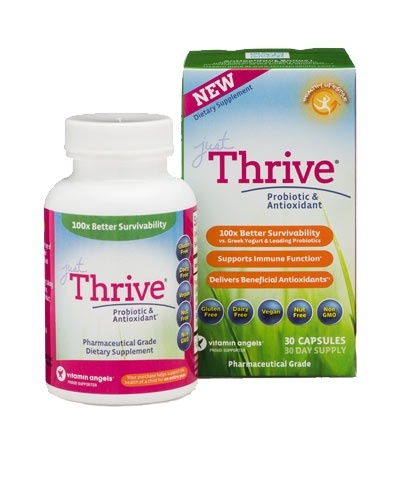 The difference between Just Thrive® and other leading probiotics is that our 3 billion cells actually arrive alive in the small intestine, where these friendly bacteria start colonizing to promote digestive health and overall wellness. * See for yourself, most strains do not survive the harsh stomach acid. 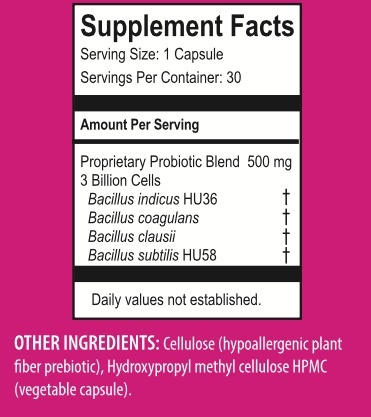 Just Thrive® also does something very special - it contains Bacillus indicus (HU36), which produces antioxidants once it gets to the small intestine. This one-of-a-kind probiotic formula actually produces carotenoids (the nutrients that give red peppers and tomatoes their color) in your intestines where they can be quickly absorbed into your system. HU36 produces* CoQ10, alpha and bet carotene, lycopene, lutein, astaxanthin, and zeaxanthin once it arrives in your intestines. 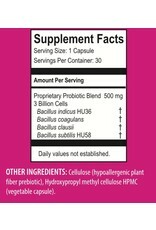 That makes it the world's first probiotic/antioxidant combination product. 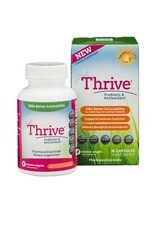 Start today and makeJust Thrive® an essential part of your daily health and wellness routine! *†Antioxidants (alpha and beta carotene, lycopene, lutein, astaxanthin, and zeaxanthin) are produced in the digestive system by this probiotic, they are not added to capsules.